Pamela will be attending the RWA National Convention in San Diego, July 13-16, 2016. She will also be participating in the 2016 “Readers for Life” Literacy Autographing–held on Wednesday, July 13, from 5:30–7:30 p.m. at the San Diego Marriott Marquis & Marina in the Pacific Ballroom–signing copies of The Advent of Lady Madeline and Devices & Desires. Late-breaking announcement: Pamela will be attending the RWA National Convention in San Antonio, July 23-26, 2014. 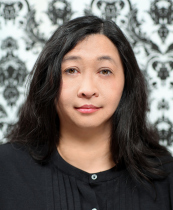 She will also be participating in the 2014 “Readers for Life” Literacy Autographing–held on Wednesday, July 23, from 5:30–7:30 p.m. at the San Antonio Marriott Rivercenter Hotel in the third-floor ballroom–signing copies of her most recent novel, A Song at Twilight. Pamela’s debut novel, Waltz with a Stranger, has just won the 2013 Laurel Wreath Award for Best Historical Romance! Complete list of winners can be found here. Pamela will be visiting the following blogs in November and December. 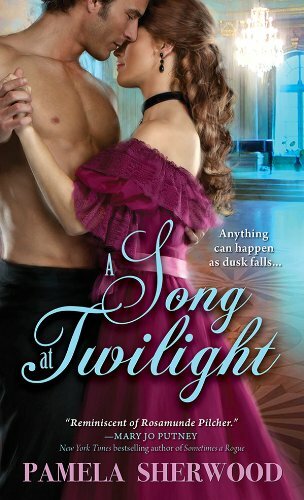 A Song at Twilight, Pamela’s second novel (and a sequel to Waltz with a Stranger), will be released on October 1. The stops on Pamela’s “virtual tour” in October, so far. Stops will be added as itinerary is updated. Many of these stops will feature book giveaways of A Song at Twilight. 10/28: Mia Marlowe: Read. Write. Love. The stops on Pamela’s “virtual tour” in December. Pamela’s debut novel, Waltz with a Stranger, will be published by Sourcebooks Casablanca in December 2012. Pamela will be attending the RWA National Convention in Anaheim, July 25-28, 2012.